Steve played his first note on a Flute back in 1973 as a freshman in high school. He quickly learned that in order to get his chance to jam on Flute, he needed to play some other instrument to fill in the gaps (sax in Jazz band, rhythm guitar, bass or keys in rock bands, you get the idea). He received a degree in music theory and composition from UICC (now UIC) where he developed a love for orchestration and arranging. 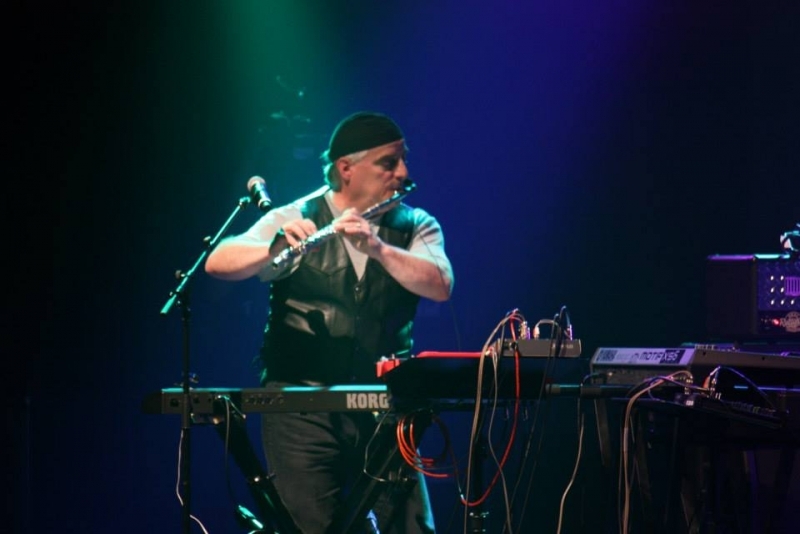 Playing in various original and cover bands over the years, good friend Dale Stubitsch urged him to finally start a Jethro Tull cover band in 2006. With the help of Dale and Rich Poston, Silver Pipe was born. Over the years, the lineups changed and eventually included Luis Nasser, Tim McCaskey and Brian Harris. As Luis began recruiting to record Winter Soulstice, Steve joined in to add Flute, backing vocals, arrangements and general energetic ‘tude, becoming absorbed in this creative collective of musicians he’s honored to call friends.